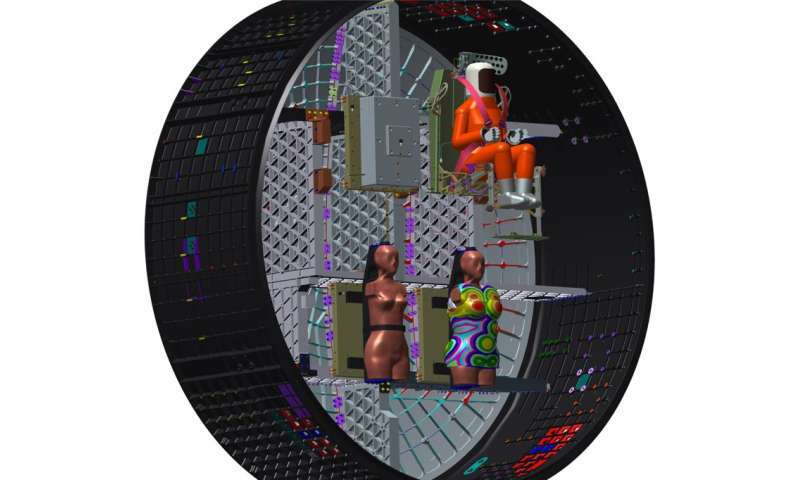 These two female dummies will occupy the passenger seats during Orion's first mission around the moon, going further than any human has flown before. The flight test will take place during NASA's Exploration Mission-1, an uncrewed trip to the vicinity of the moon and back to Earth. Radiation poses a major health risk to people in space. Astronauts on the International Space Station receive doses 250 higher than on Earth. Away from Earth's magnetic field and into interplanetary space, the impact on the human body could be much higher – up to 700 times more. Two sources of radiation are of concern: galactic cosmic radiation and virulent solar particle events. This radiation could increase the crew's risk of cancer and become a limiting factor in missions to the moon and Mars. The two dummies simulate adult female torsos. Both Helga and Zohar are made up of 38 slices of tissue-equivalent plastics that mimic the varying density of bones, soft tissue and lungs. Similar dummies are used in hospitals to quantify the right dose of radiation for cancer therapies. "We chose female dummies because the number of women astronauts is increasing, and also because the female body is typically more vulnerable to radiation," explains Thomas Berger, lead scientist of the Matroshka AstroRad Radiation Experiment (MARE) at the German Aerospace Center, DLR. Sensors have been fitted in the most radiation-sensitive areas of the body – lungs, stomach, uterus and bone marrow. 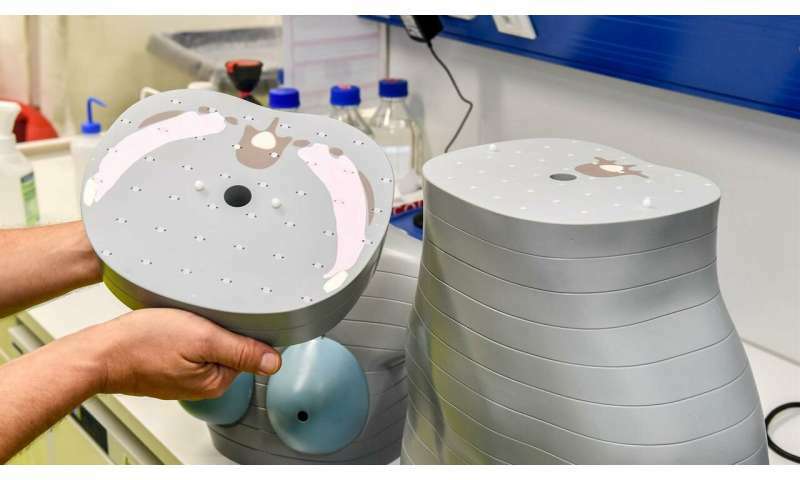 While thousands of passive dosimeters will record the radiation dose from launch until return to Earth, a set of 16 active detectors will map the radiation dose both on the dummies' skin and internal organs during flight. 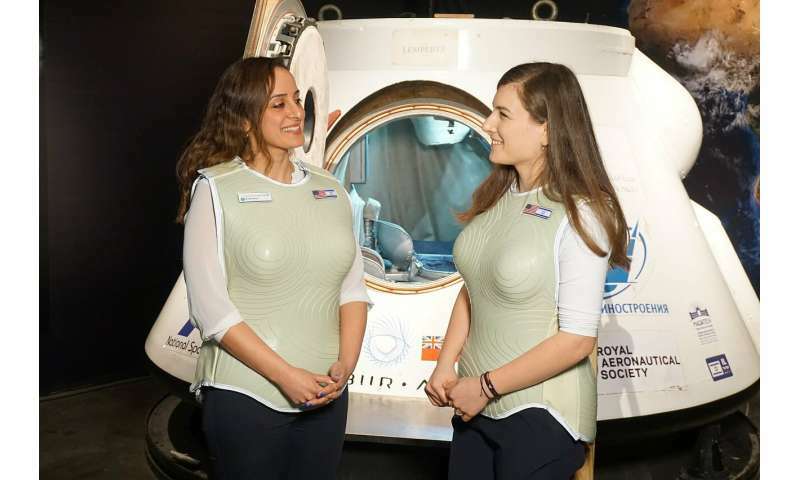 This vest is called AstroRad, and has been developed by a start-up company sponsored by the Israel Space Agency. "We are relying on our expertise in protecting personnel in nuclear plants and emergency workers exposed to high levels of radiation or terrorist radiological threats," explains StemRad company director Oren Milstein. Made of polyethylene to better block harmful protons, AstroRad will cover Zohar's upper body and uterus. Comparing the radiation dose she receives with that of Helga, scientists aim to understand how to better protect future crews. There are precedents to Helga and Zohar. The Matroshka dummy inhabited the International Space Station from 2004 to 2011 to measure the radiation dose astronauts experience during their missions onboard and outside during spacewalks. "The international collaboration greatly increases the value of MARE. It provides diverse perspectives and complementary resources," says Razvan Gaza, project manager at Lockheed Martin, the company building NASA's Orion vehicle. Protons are essential to material reality and are no more harmful than CO2. Truly 'Radiation for Dummies' not differentiating protons from Beta Radiation. This could have been experimented on the driver of Tesla roadster. Just so we're clear: proton radiation, given in terms of the total dose in Joules per kilogram, are twice as dangerous as electrons (AKA beta particles). For confirmation read the Wikipedia article on the SI unit, the sievert. Protons and even iron nuclei traveling very close to light speed. The difference between swallowing a radioactive pellet and getting shot through the head by one.